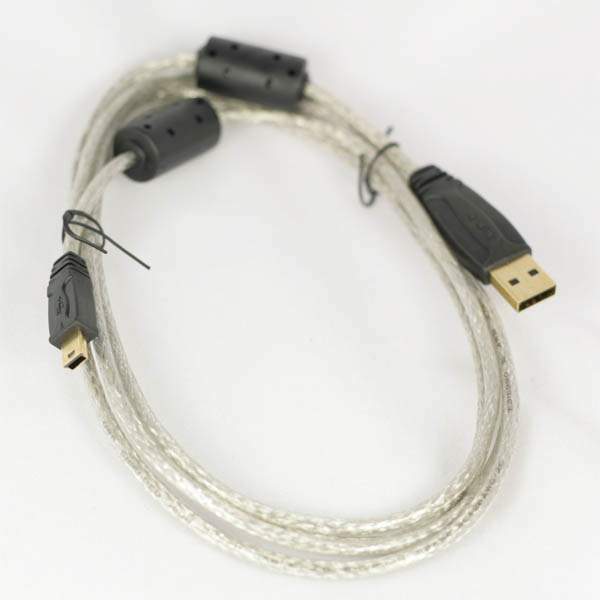 New Silver Color Cable with Small Dual Ferrites. Very Nice Quality. RoHS Compliant Material. This professional Grade Cable Uses 2.0 Certified wire. This connector design follows USB 2.0 Paper on Mini-B Connectors. Used on 100's of Cameras. Used also on alot of Small Perpherials, MP3 Players, PDA's Etc..
Connector Dim are 5/16" x 1/8"